Some years ago, Gordon Croot brought together all known knowledge about the water supply installed for Sir Baptist Hicks when he was building his new mansion. 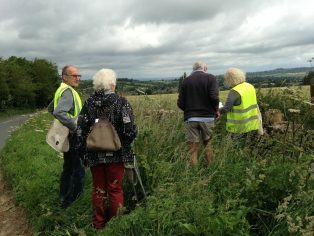 From the Conduit House on Westington Hill the pipes were laid in the fields to Campden House, the Almshouses and the Vicarage. As part of the Campden House project, a group tried to track the pipes and confirm Gordon’s findings. Their report will be posted soon, but Gordon’s paper is well worth reading.